Ray Ciccolo, founder of the Village Automotive Group, believes in and admires the resiliency of our industry and its people. The automotive industry is at the core of what the American experience is all about.At Village, it's not about the bottom line. It's about an unwavering commitment to the people and communities we service. At Village, we care about people - not just cars. Welcome to Audi Norwell. 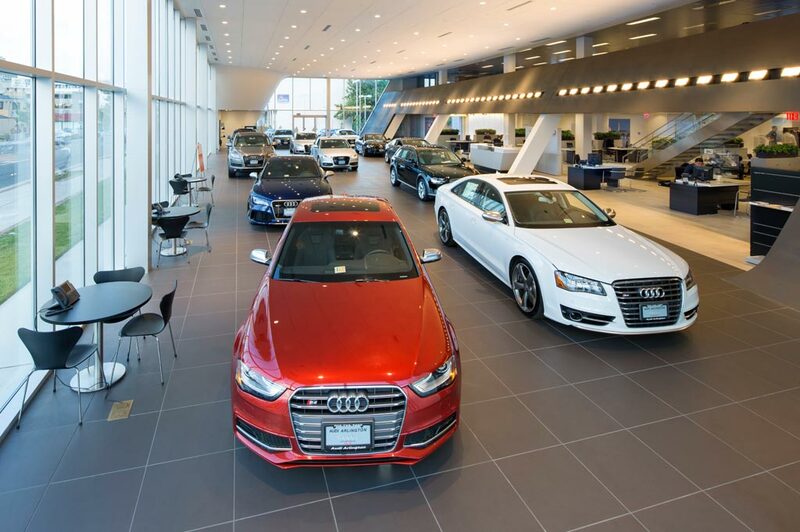 With a brand new facility, we are the most modern Audi dealership in New England. Along with our beautiful new building, we have an extensive inventory of New Audis on hand and ready to show you. Audi Norwell has a wide assortment of quality used cars in stock, and we specialize in Audi Certified Preowned vehicles. With a rigorous 300+ point inspection, a limited 6-year or 100k mile warranty, and included Roadside Assistance, Audi CPO vehicles are an excellent option for Audi devotees. Our new Audi Service Department is equipped with the latest state-of-the-art equipment and is staffed by factory-trained technicians. Bring your Audi in for regular check-ups, including oil changes, brake inspection, battery checks, wheel alignment, warranty maintenance or more extensive auto service and repair work. We maintain an extensive inventory of genuine Audi parts and accessories to keep your Audi in top-notch condition. Audi Norwell is conveniently located at 59 Pond Street in Norwell, MA. Right off Route 3 at Exit 14, a half mile from Queen Anne's Corner. You can reach us locally at (781) 261-5000.